Its more or less easy to find sonic structures, textures, resonances or harmonics that “might work” while investigating on a sound experimental framework. Almost anyone, tweaking a few knobs and using the right or wrong tools, can achieve a palette, a rainbow of possibilities and certain capacity to deliver very interesting sounds. I guess that there is just need of some intuition, enthusiasm and knowing your tools. But then, when it comes the time of composing sounds, things get a bit tougher. On the compositional level aspects such as time, pace or narrative can play a major role. Those elements have the power to bring to life a certain work or just bust it into the debts of boredom. It doesn’t matter if the raw or processed material, before the composition, are splendid sonorities, if you don’t place it in the right or wrong way, it just don’t work. Both elements, the experimentation with materials and the compositional approach, need a recipe, a fine set of rules, one following the other, to achieve a very tasty meal. So, considering that for Jean Montag a very tasty meal has to be croquettes (mainly) we are going to use them as a metaphor. We might say that this “Unquiet”, that he kindly delivered to our catalogue, is a very nicely baked couple of croquettes. Two croquettes full of different ingredients, mushed up, processed sounds and all sorts of scenarios and scenes were to get lost and found. On every bite we discover a new space a new environment. Before we loose the taste of the last bite we are already on the next, swallowing what Montag has prepared for us. Finally this release, in it’s shape of a sonic “tapa”, is a very interesting work because it doesn’t lasts for too long (something I’m worried all the time with) but still, with this short time space he is able to surprise the listener at every step and present a complex work in terms of sound design and composition that lead me to desserts already missing what I have ate. Previously to the release of this Unquiet, Jean Montag performed at Off_herzios an early version of this brand new album, you can take a listen to it on our bandcamp page. All tracks composed and arranged by Jean Montag. 2012. 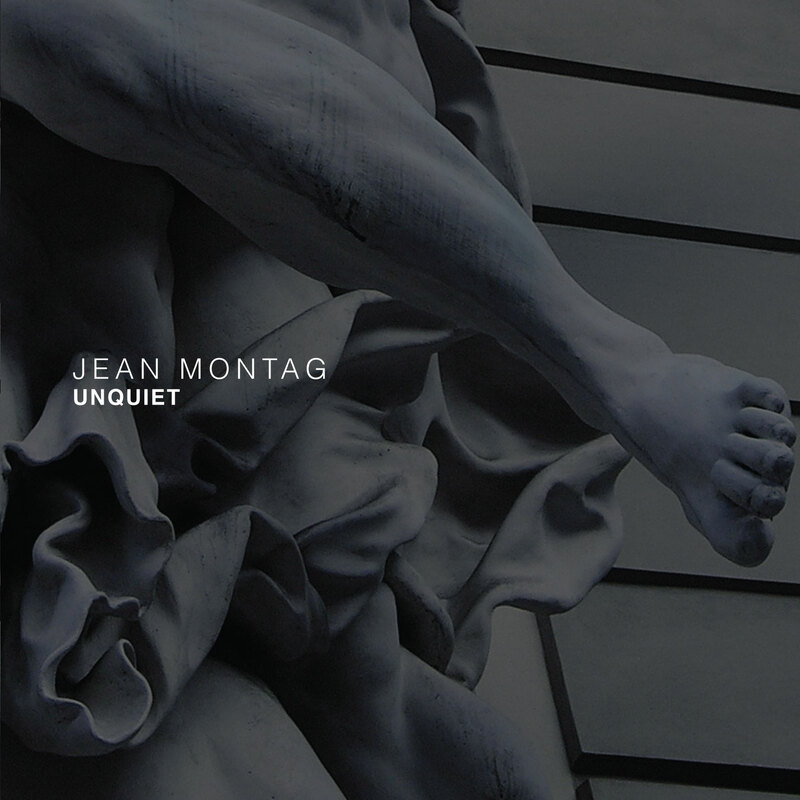 Cuando uno escucha un disco como Unquiet de Jean Montag poco importa pensarlo mucho, ni saber cuáles son sus fuentes sonoras, ni sus recursos técnicos, cuando uno se enfrenta a una experiencia con el sonido como esta hay que agradecer. España ha dado a conocer una nueva generación de artistas sonoros y de música experimental en los últimos años, Jean Montag, de Valencia (ciudad con una escena muy activa), es sin duda uno de los más destacados. Descubrí el álbum días antes de cerrar esta lista y lo he escuchado muchas veces, es realmente impresionante. Mención aparte para Audiotalaia, el sello de Edu Comelles que hace una gran labor y ha publicado un compilado indispensable Desde la Atalaia, que permite dar a conocer a toda esa gama de artistas españoles muchos de ellos dedicados a las grabaciones de campo. Jean Montag vuelve a Audiotalaia con su proyecto en solitario, después del extraordinario Into The Mirror que firmaba con su otro proyecto A Quiet Norway tambien en Audiotalaia. Nos presenta este Unquiet, dos piezas que rondan los 15 minutos de duración y en las que encontramos una rica paleta de sonidos y pasajes. De hecho me da la sensación que estas piezas estan organizadas como una sucesión de situaciones o capítulos que se van sucediendo unos a otros. Un trabajo muy cuidado e interesante. Unquiet by Jean Montag is licensed under a Creative Commons Reconocimiento-NoComercial-CompartirIgual 3.0 Unported License. Creado a partir de la obra en http://archive.org/details/at058JeanMontag. Permissions beyond the scope of this license may be available at http://jeanmontag.wordpress.com/.